It’s easy, as a tourist in Japan, to stick entirely to the Yamanote (ya-ma-no-tay) line that circles downtown Tokyo. It’s got all of the major stops–Shinjuku, Harajuku, Ginza, Namjatown–and with each city block in Tokyo being about ten times as dense with shops and apartments and life as a similar block in… say… Toronto… you could spend a two week trip to Japan never stepping on any other form of public transit than the Yamanote JR train line. Maybe take a cab once in a while. But sometimes when you venture off the beaten path, you can find something pretty cool and not very touristy, and that’s just awesome. 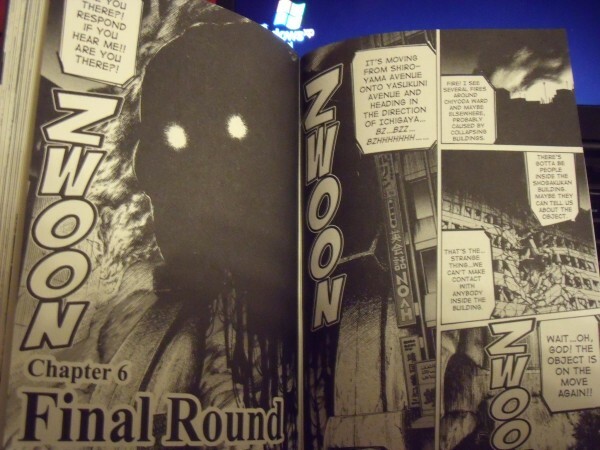 So manga fans, let me introduce you to Jinbocho. 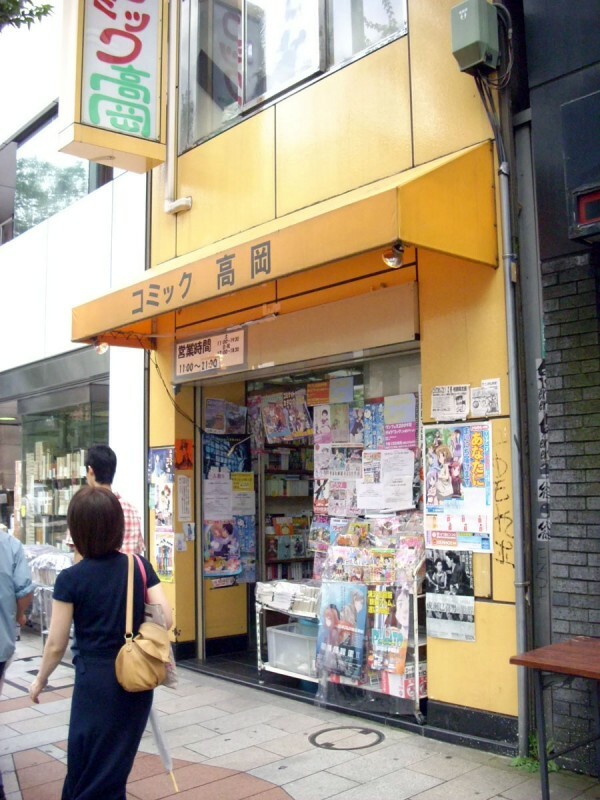 Jinbocho is the publishing-district of Tokyo. I know that’s going to sound a little weird to most people–a publishing district! ?–but yeah. 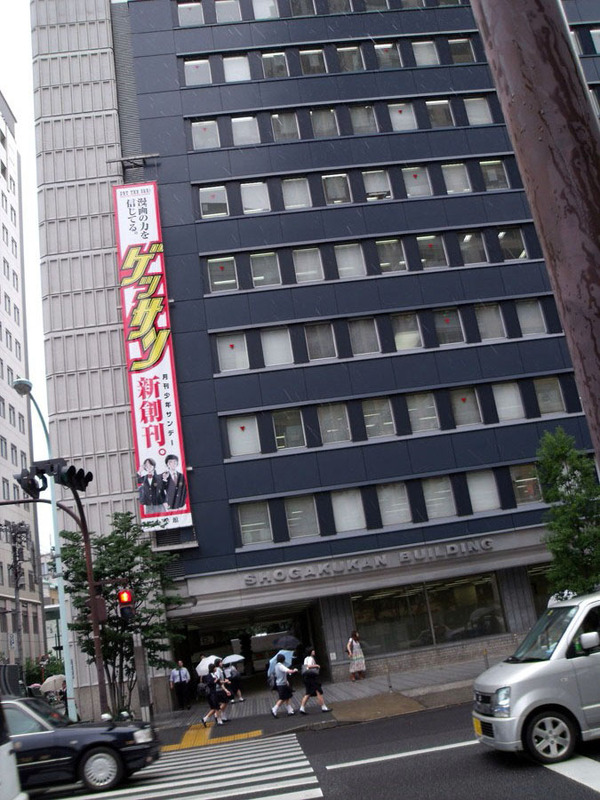 All of the major publishers have offices in this prefecture, including manga publishers, and when you get that many people who love print in one place, bookstores are bound to crop up. But in fact Jinbocho sort of happened the other way around, with most of the area destroyed by fire in 1913, a university professor (apparently) opened a book shop in Jinbocho afterwards, and led other like-minded sorts to do the same. 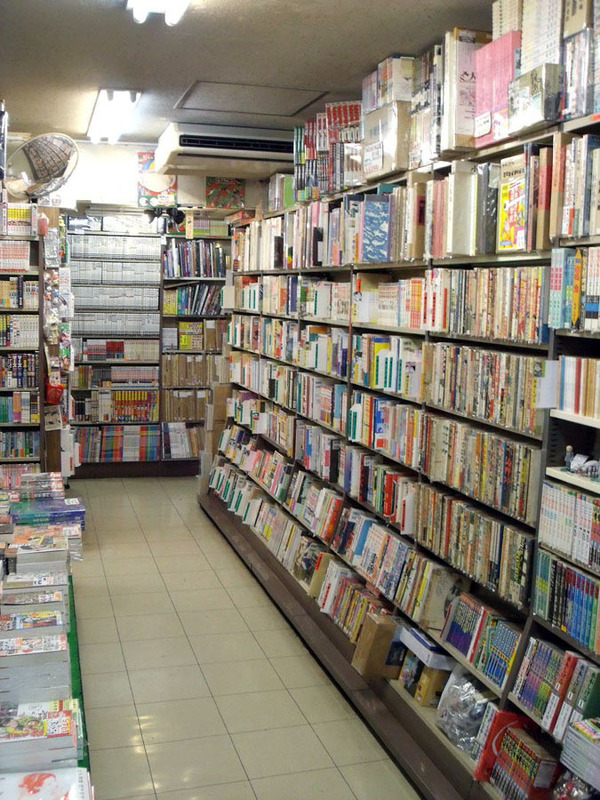 Now the streets are literally jam-packed with bookstores of every shape and size, particularly used book stores, and particularly used manga shops. While Nakano Broadway offers the otaku a safe, windowless haven to pursue nerdish pursuits, Jimbocho focuses it’s nerditry like a laser, straight at booklovers. And wow, does it deliver. 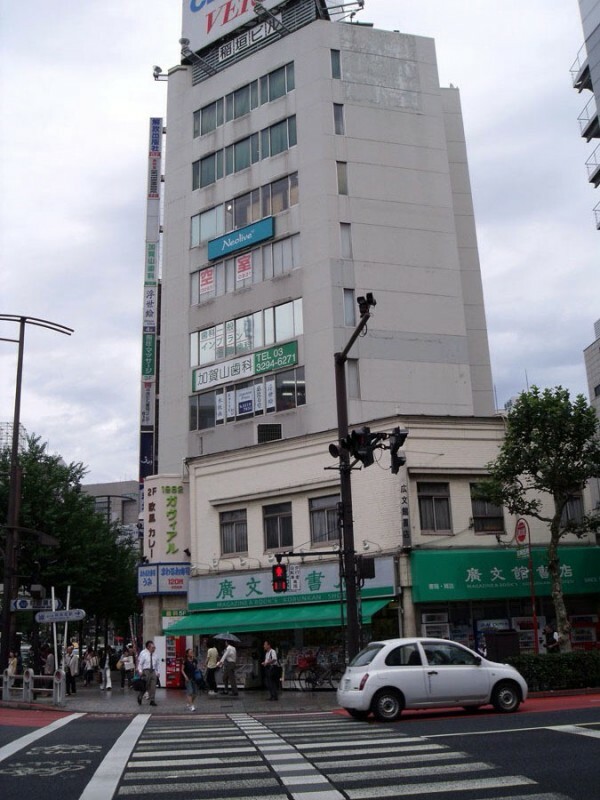 The center of Jinbocho is the intersection of Yasukuni-dori and Hakusan-dori, but more importantly to foreign travelers it will require multiple transfers. 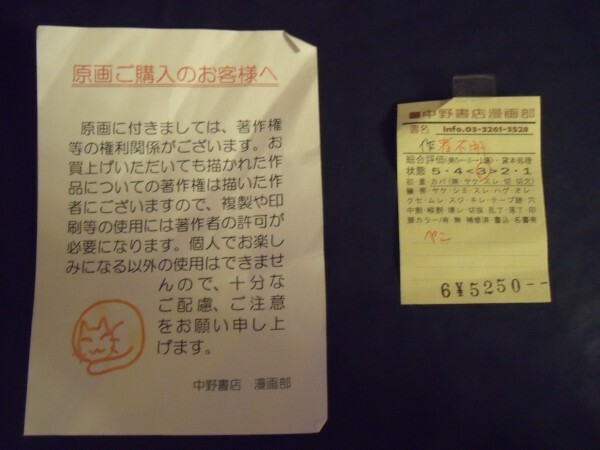 You’ll have to get on a train line that isn’t the Yamanote line (the Chuo/Sobu line! 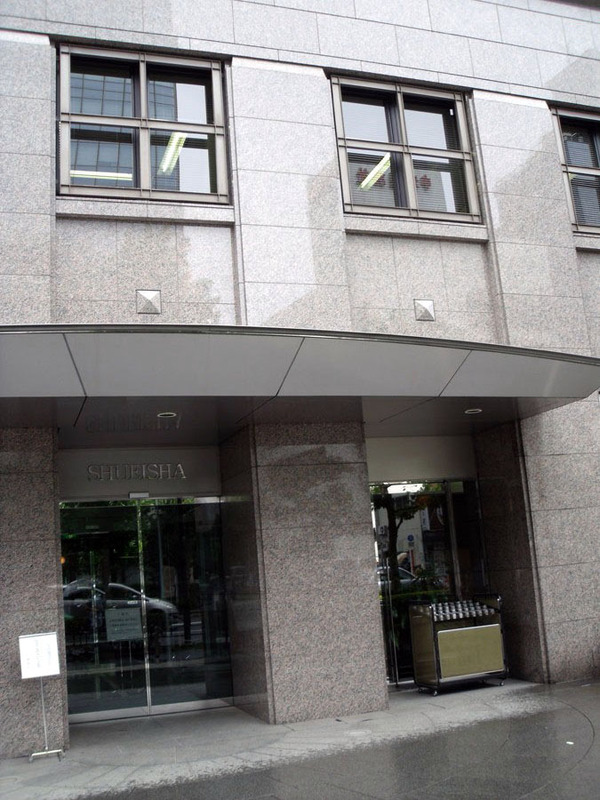 ), and then you’re going to have to get off the train at Suidobashi Station, and exit the station and walk across the street to get on the subway (Metro)! And take that 2 or 3 stops! And then you will end up roughly here, at said intersection, with bookstores on I think 3 of the four corners. 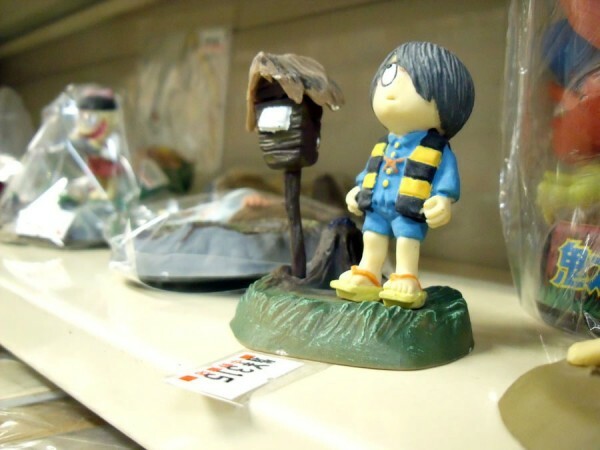 …and Shogakukan. Now, while these two behemoths have teamed up to run our beloved Viz Media here in North America, in Japan they remain fierce competitors and closely guard their publishing secrets. 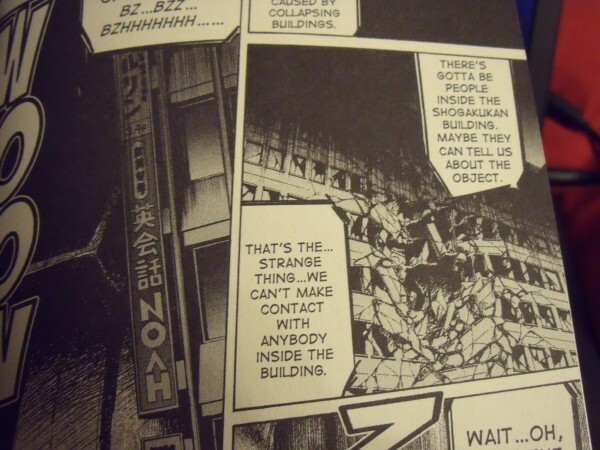 Actually, that Shogakukan Building looks a little familiar now that I think about it. Where have I seen it before? 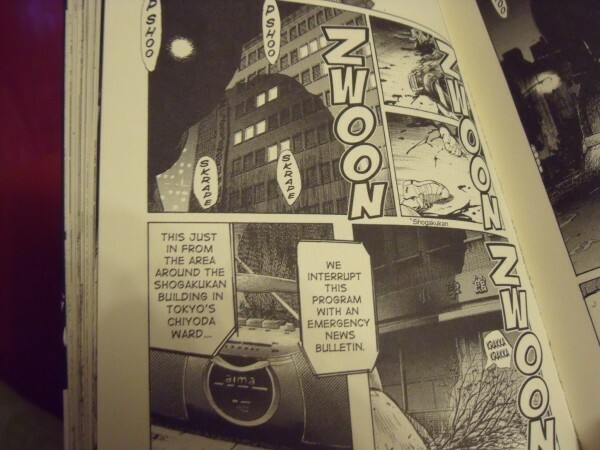 Why, I remember the Shogakukan building from when it was wrecked in 20th Century Boys Volume 5 by Naoki Urasawa. 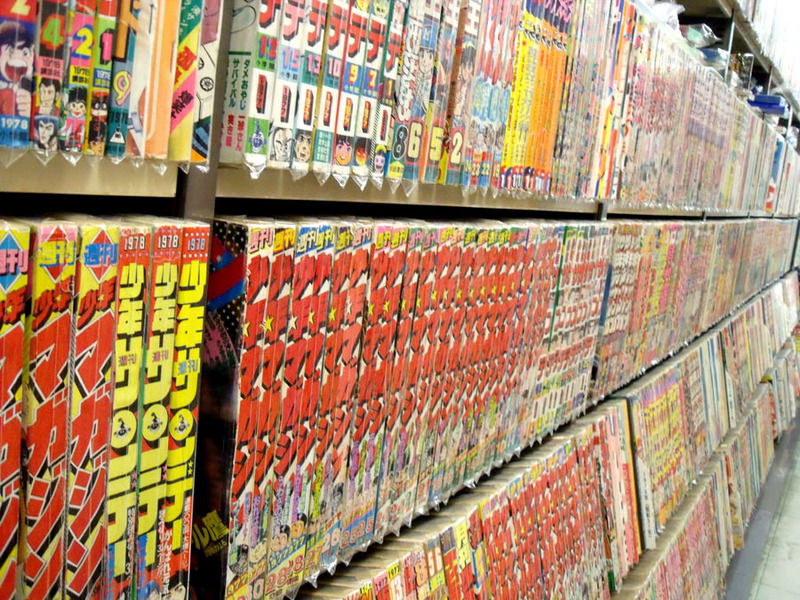 A volume of manga that… coincidentally was published in Japan by… Shueisha! Heh heh heh. There, now we’ve all learned something hilarious. So anyway, the bookstores in this neighborhood are awesome, predominantly Japanese but with lots of great foreign bookshops as well, and the prices run the gamut. This one just down the street from the main intersection was pretty outstanding, with an amazingly curated selection of books. Here’s a few more pictures. 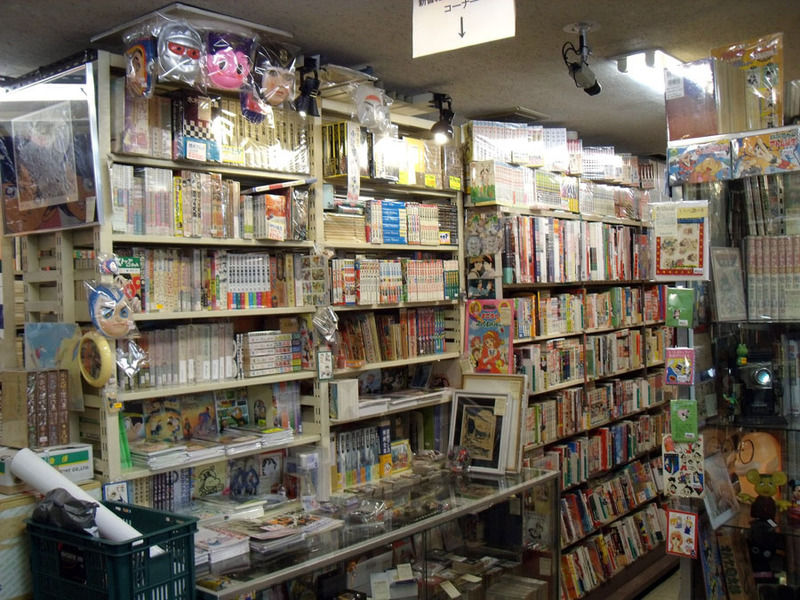 This was a pretty neat, tiny little manga store that only stocked the absolute newest stuff, floor to ceiling. No pics inside… no room! Yeah, that’s right. 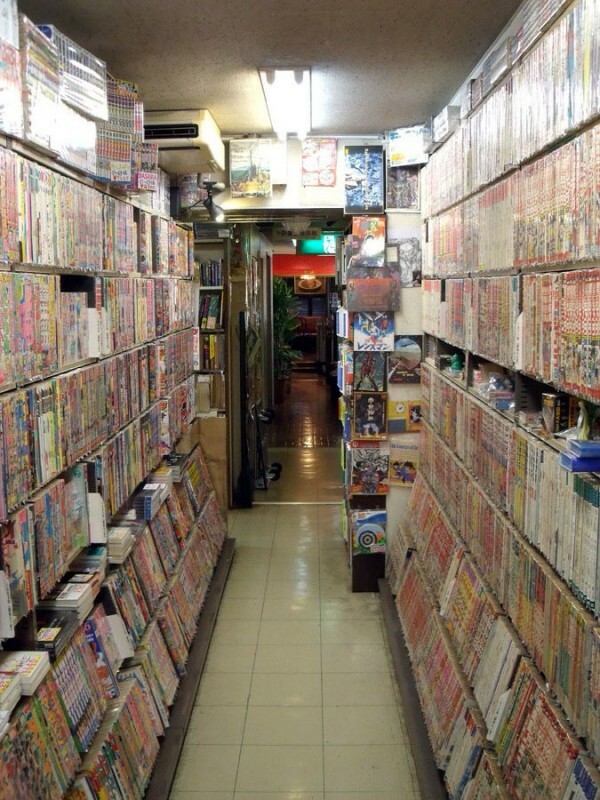 It’s a manga shop. A totally amazing used manga shop. 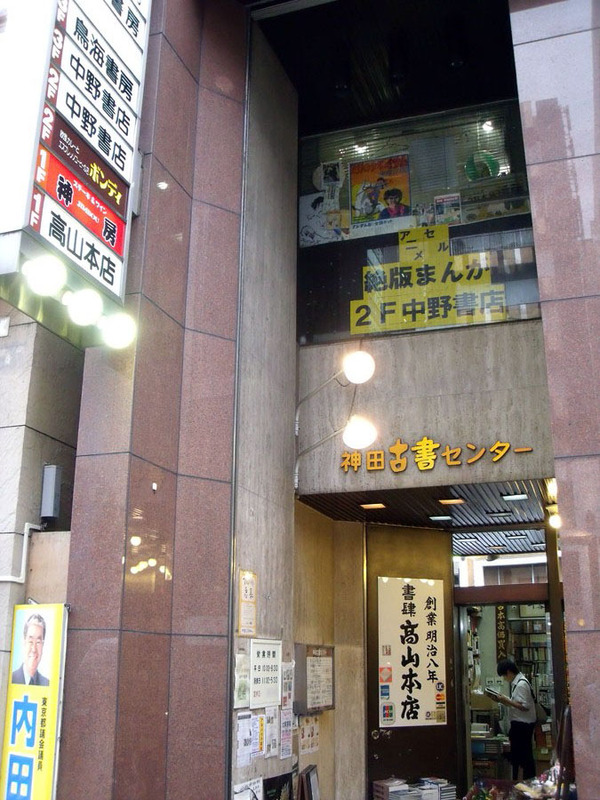 According to @tke918 on Twitter, the signage in the window in the pic above this one roughly translates to “We are selling anime cells and out of print mangas… at Nakano Bookstore” hah! 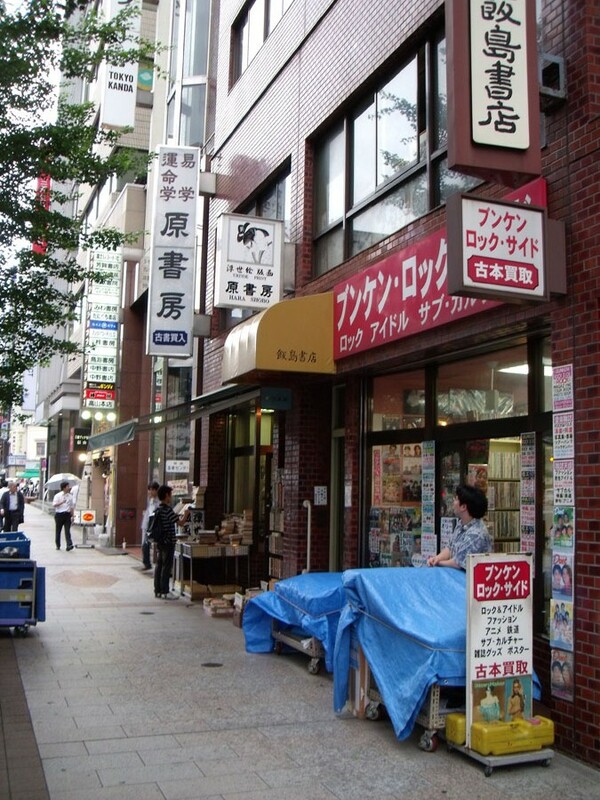 So maybe it’s a little like Nakano Broadway afterall. Anyhow, the curry in back was fantastic, the best Japanese-style curry I’ve ever had. But the bookstore? 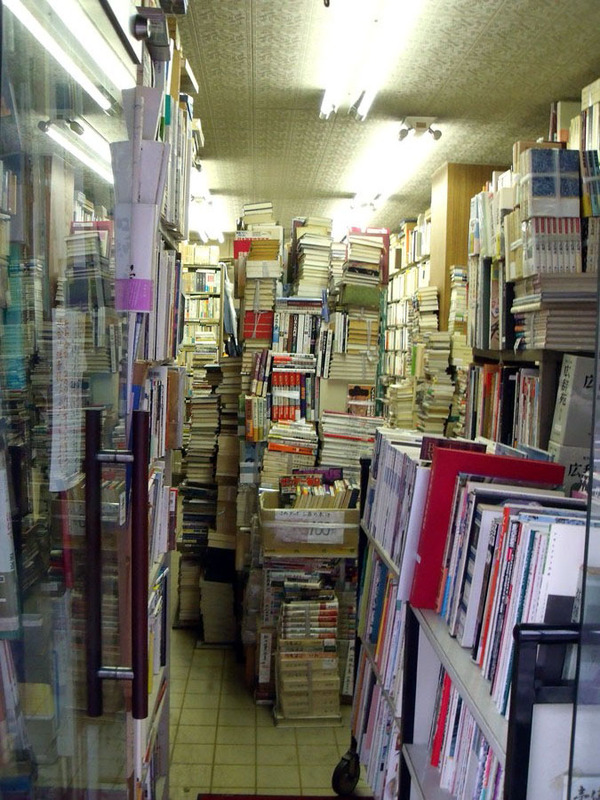 The bookstore was heaven. 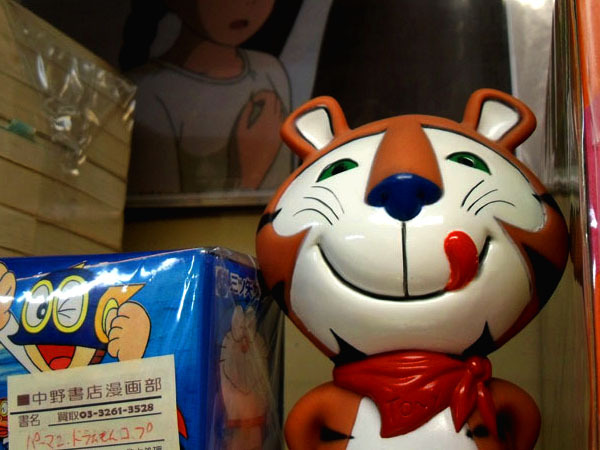 Untold riches… and children’s masks. Why yes, it’s a case full of rare manga, including first-edition and second edition Tezuka graphic novels. 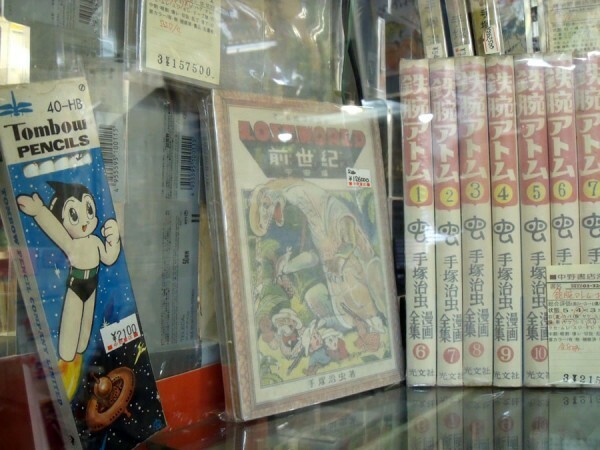 That’s a first-edition Lost World Volume 2, going for 126,000 yen, or about $1260. 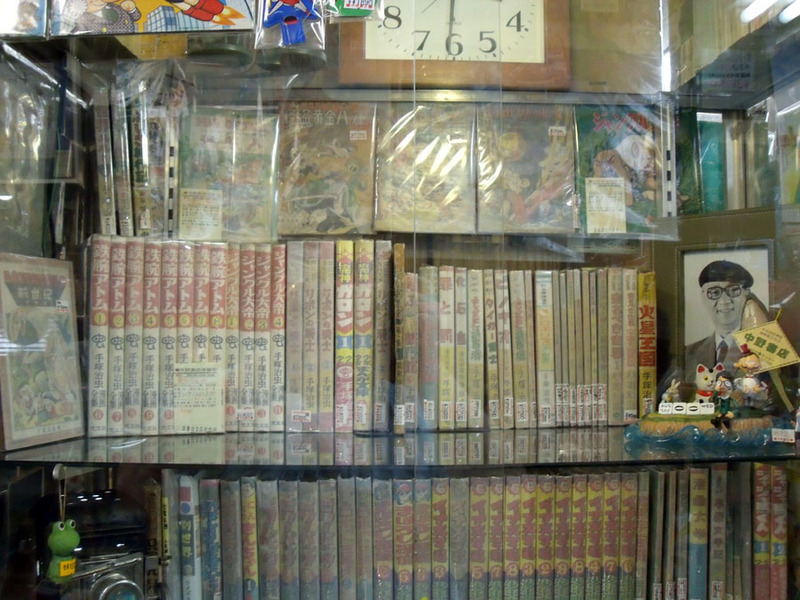 While I was in the shop, the proprietor had just bought a bunch more early Tezuka and was wrapping them. He let me hold a 2nd edition ‘Treasure Island’, the first-ever Tezuka manga. That was pretty cool. 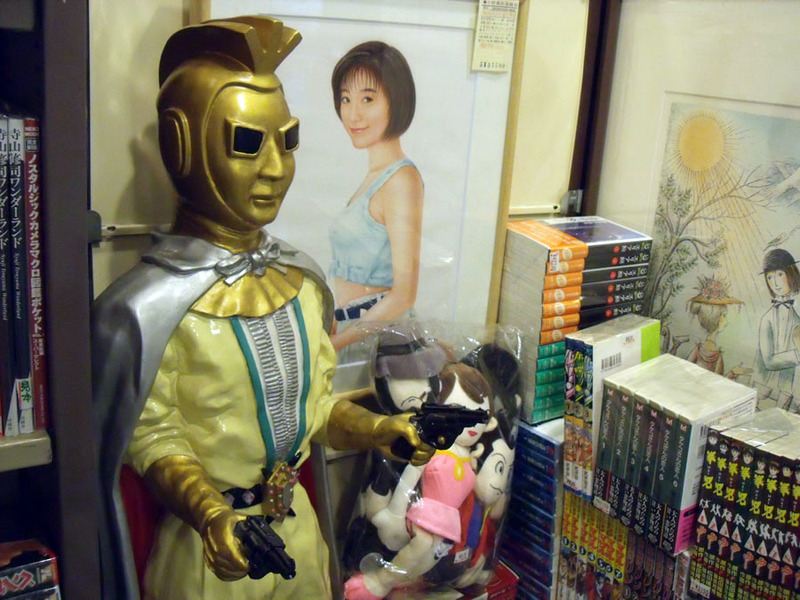 While the store was 90% about the manga, they did have a couple of ‘period’ toy reproductions, and… what’s that over Tony’s shoulder? Why, it’s anime cells. 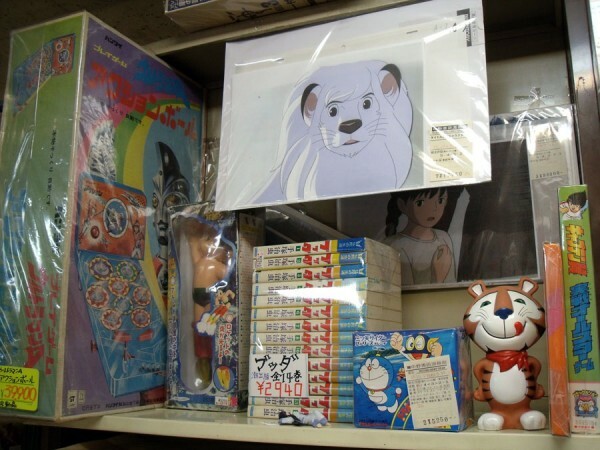 Including a Kimba, The White Lion, and behind it? It’s a cell from Hayao Miyazaki’s Laputa: Castle In The Sky! It ran just-about two grand, so no, I didn’t come home with it. Just to the left of this shelf though, was about 5 shelves of anime cells (including a whole shelf of JUST background paintings, for between 10 and 20 dollars a pop. There were a couple of them that had recognizable characters, but nothing I felt passionate about. Still, I can think of worse things to do than page through anime cels for a half-hour. If you’re Japanese ain’t that good (and mine is awful!) then you probably have no idea why this is interesting. 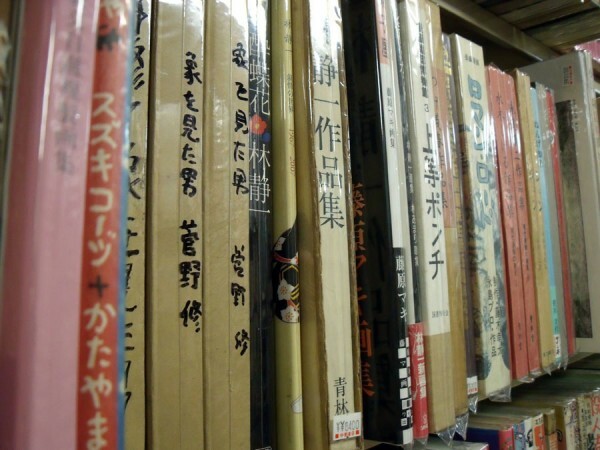 Well, some of these are collections of comics and illustration by Seiichi Hayashi, author of the ground-breaking (and surprisingly still revered) Red Colored Elegy. I bought like 3 or 4 of them. 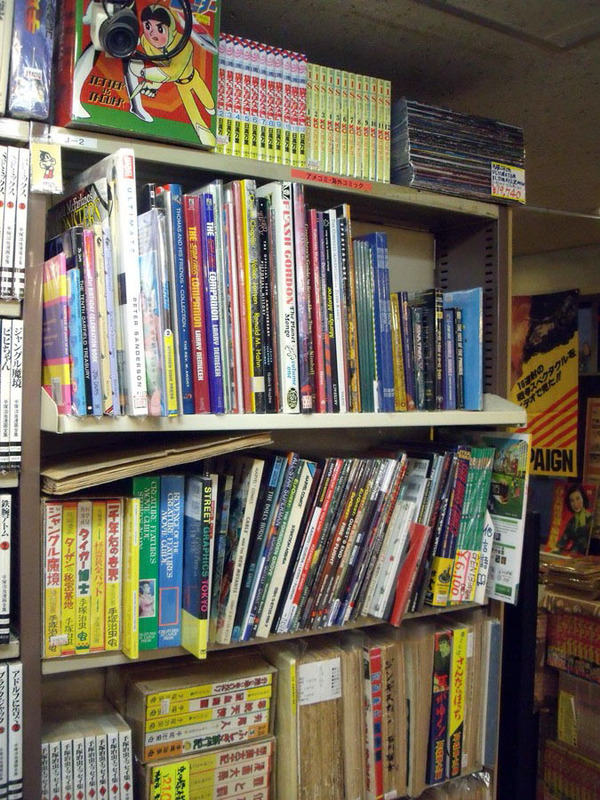 Why it’s a bunch of English language graphic novels and trade paperbacks! They even had the second All Star Superman HC! And Sandman Doll’s House! And a complete collection of the Japanese GEN13 collections that I kinda wanted for the kitsch value, but not $60 kitsch value. 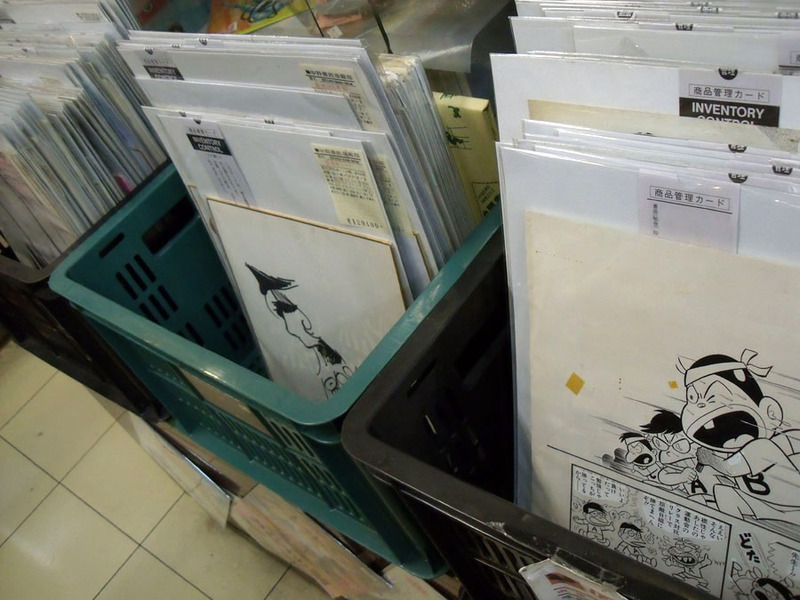 In fact they had a whole bunch of English language comics. Well not a whole bunch, like 2 shelves, but 2 shelves more than I was expecting. Still, if you ever need to get a complete run of Kurt Busiek’s POWER COMPANY in Tokyo, now you know where you can find it. And only 50 bucks too! I took this picture in the vain hopes that Kurt Busiek would link this post. But Back to the manga: MANGA. 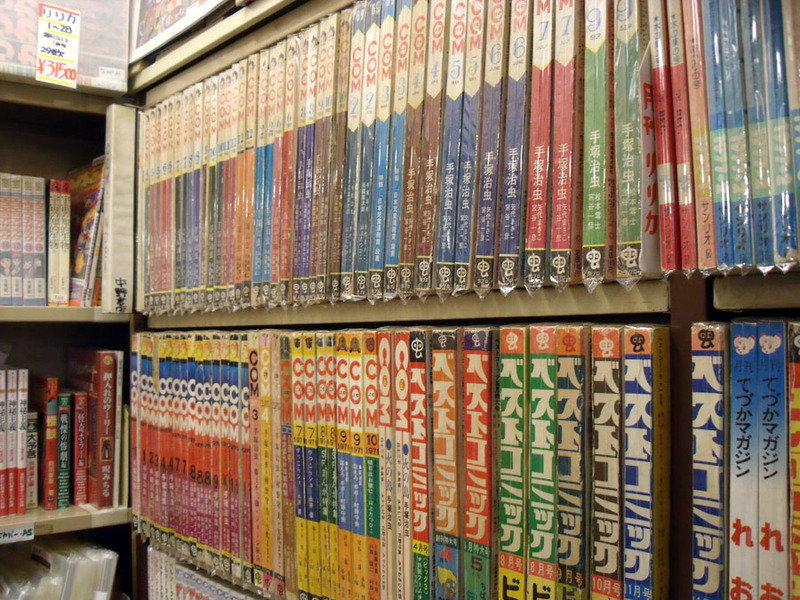 They had so much manga. SO MUCH MANGA. So many volumes, collections of old comics. There’s probably unkown treasures in these books, stuff never reprinted, unavailable now. Hell, that Bat-Manga book from a few years back was a total-fluke find… What else had a cartoon or a TV show in the 60s? Is there weirdo forgotten 60s Captain America manga? 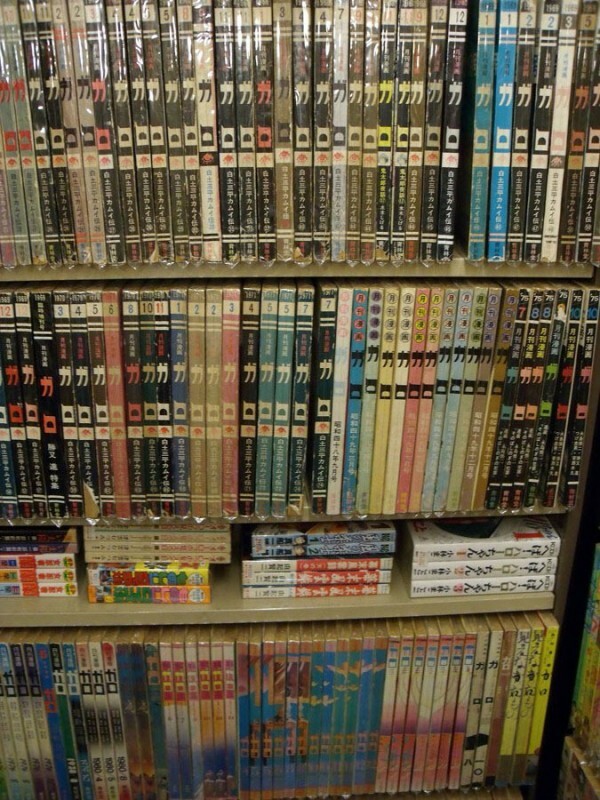 This is a hell of a lot of issues of GARO, the influential underground manga anthology. 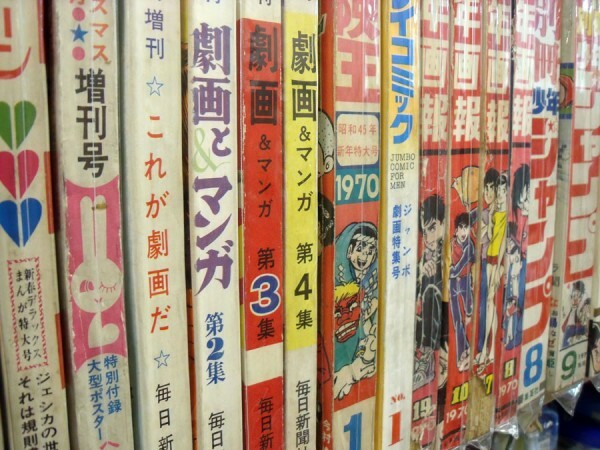 This is a bunch of issues of COM, the alternative manga magazine started by Osamu Tezuka, as a response to the popularity and success of “Gekiga”. THis is where Phoenix was launched. This is a picture from the elevator, into the store. You can see some original art on the wall there (some nice stuff), the baskets of original art there in the background. You’ll see the security gates there too, where the ‘door’ to the store is. 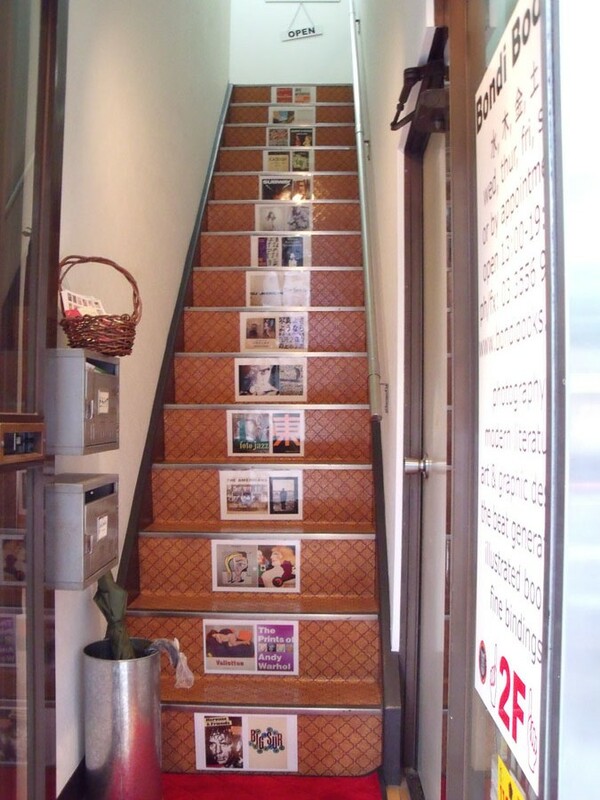 Now notice all of the books and shelves of books Outside the door of the store. THis is actually a print. But it was neat, so what the hell? 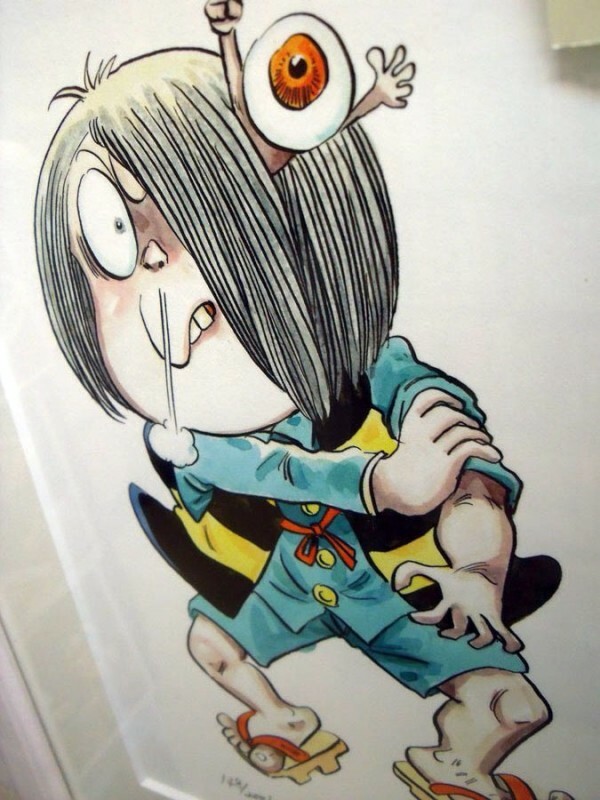 GeGeGe No Kitaro, by Shigeru Mizuki. Here’s a bit more of a close-up on the originals. THere were several instances here where you could get manuscripts for whole stories for 40 or 50 bucks, and individual pages for 20 bucks. 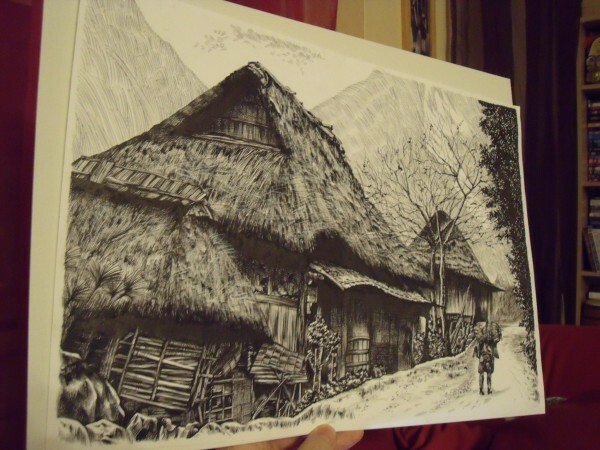 I have to admit it, it was sooooo tempting to just go broke scooping up as much original manga art as I could, but I decided to just buy one really lovely little piece. Wanna see? I’d certainly appreciate it. 🙂 You can click on that to get a much bigger version. And that brings us to the end of the tour… For now anyway. 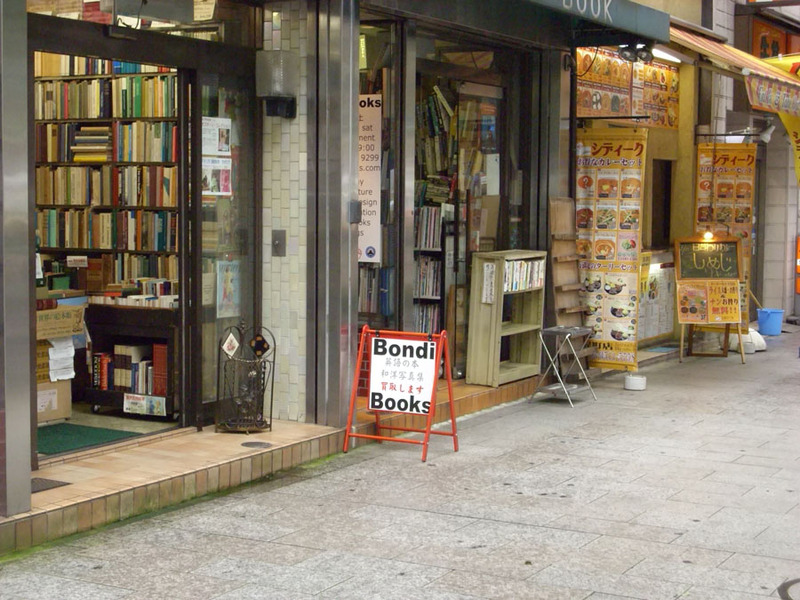 I’d like to thank the fine folks at Nakano Bookstore for letting me take so many wonderful photos, and for the art, and just for running such a wonderful shop. 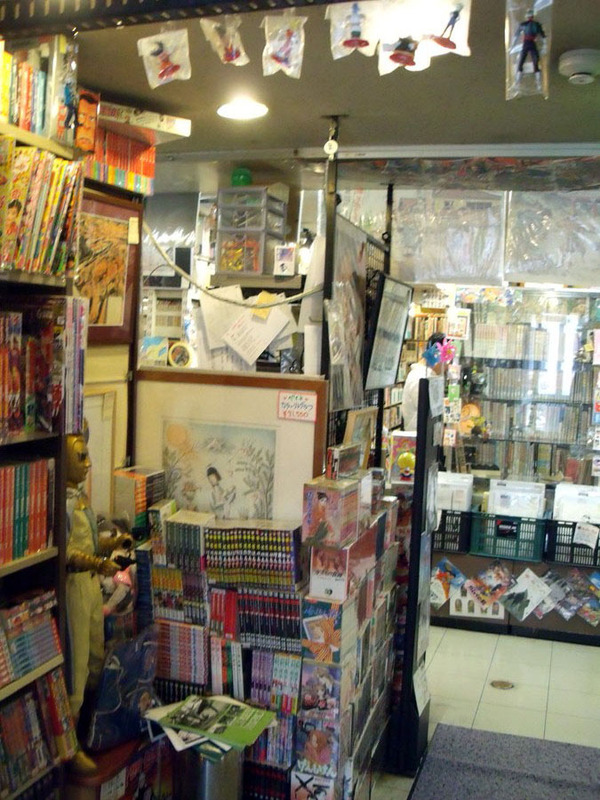 Nakano Bookstore, hell, all of Jinbocho might be a little out of the way, but it’s a worthy destination for manga fans. Thanks Chris! I love these reports! The sheet you got actually says “Artist Unknown”… reminds me a bit of Tsuge Yoshiharu, personally, but I think that’s just because I’ve been reading too much of him recently. Also, I doubt they wouldn’t have identified the artist had it been him. I’m off to Jinbocho myself next week, and these photos are definitely whetting my appetite for the local scenery! I don’t think there was ever a Captain America (too American), but Moon Knight ran in the monthly, Terebi-kun, published by Shogakukan in 1978-1979. It was far more violent and less faithful than the Bat-Manga was to Batman. AHHHH. I love that Jinboucho Nakano store. You got a picture of the Prince Planet mask that I failed to get a picture of, or to buy. Actually I didn’t get any photos in that store, I was too busy hyperventilating. DEEP BREATHS, DAVE. 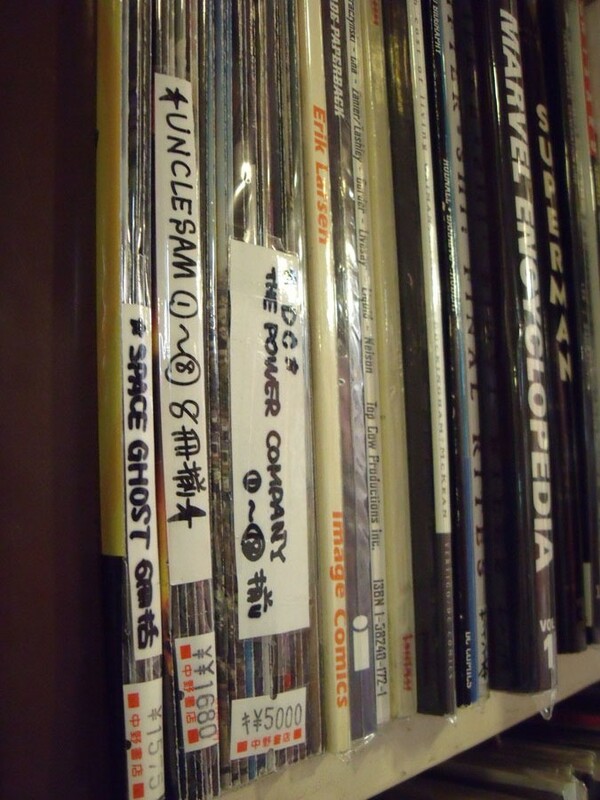 Travis: Actually, they’re fairly reasonably priced, $10-$20 an issue. It kind of depends on how old the issues are, and how good condition they’re in. Quite honestly though, they’re only available in used manga shops, so unless your family member just HAPPENS to be a huge old-manga nerd like myself, it is highly unlikely she’d stumble over them in her travels. 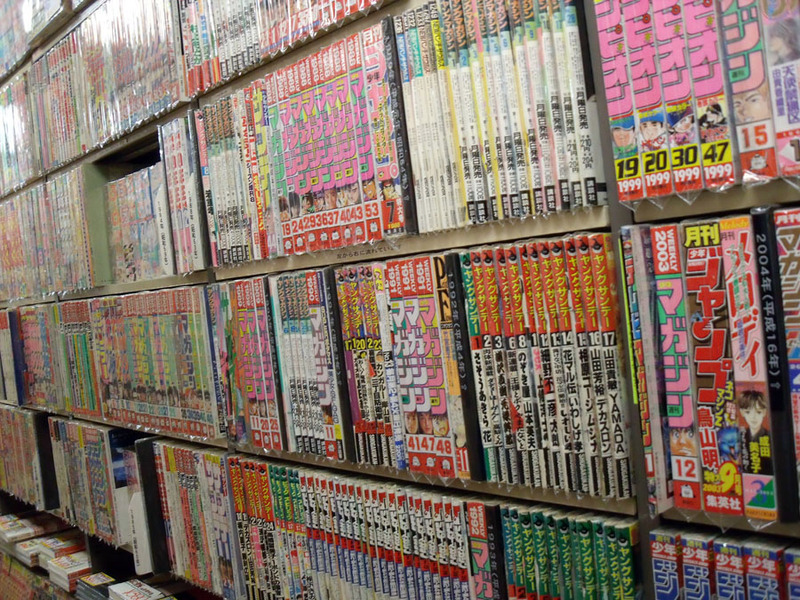 Dave: Did you find any other good manga shops in Jinbocho? James: That sounds… kind of exciting. 🙂 Do you know if there were tankoubon published? Kransom: Thanks for the assist there. That’s a little disheartening actually. 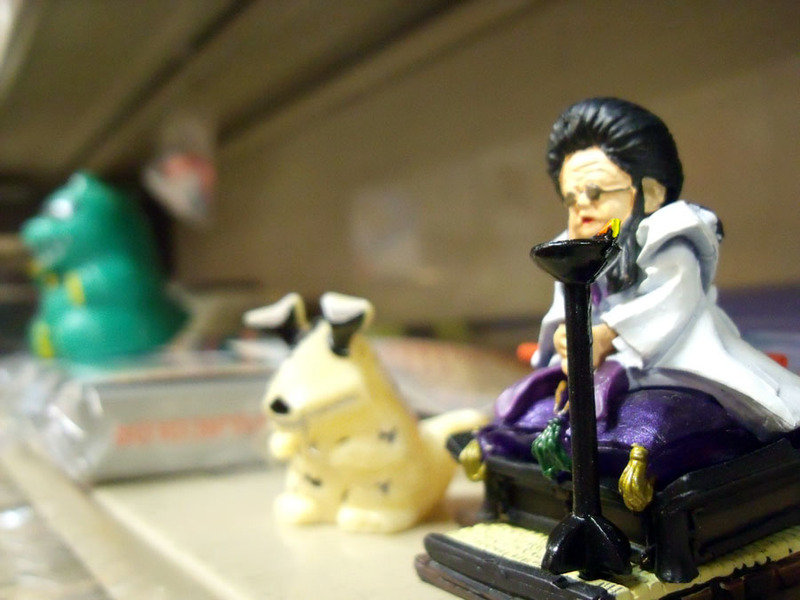 I’d love to know where it’s from… and buy it. And up-close the linework seems too scratchy and fine to be Tsuge. I’ll maybe do a scan of it. I never saw any tankoubon of Moon Knight at the time 🙁 But he had vaguely supernatural abilities and would use his cape to glide on air currents. One adventure had Moon Knight save a train car of grade-school children being held hostage by An Evil Organization? by throwing crescent moon shaped shuriken through the bad guys’ heads. It was as if Go Nagai authored Moon Knight… but with no nakedy females. Not to head into flamewar territory, but 20th Century Boys, as well as most if not all of the other Urasawa was published by Shogakukan not Shuesha..
Niice, Jinbocho is the place I’m heading directly for on my next trip to Japan. More interested in comics from before about 1950 though, stuff from during the war must be interesting XD. I’d love to see some German ones from before/during World War 1 too, mind you the language barrier will be a bit problematic. Apparently there was a manga version of the British TV series Captain Scarlet. Somebody on a British comics forum bought one and got a friend to translate a few bits. They soon found it was actually a re-drawn adaption of a Captain Scarlet strip from the British comic TV21! Chris, thanks for this detailed report! I knew where it was but was racking my brain for the name of this shop as my friends are visiting for the first time. 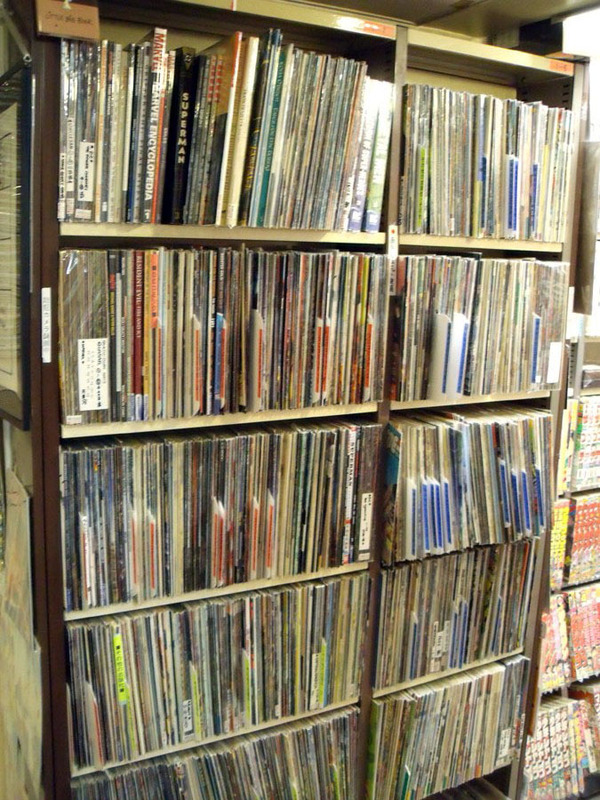 No trip to Japan is complete for me until I’ve spent an afternoon browsing here! *reappear, years later* oh hi. I have an issue of Shonen Kurabu (Boys’ Club) from 1949, which contains a picture in a VERY similar style to your mysterious black-and-white one above. Shonen Kurabu is more of a story paper (aka “dime novel”, or “light novel magazine”) than a comic, though this particular issue has quite a few strips. Anyway, the one in this issue has the signature “K. Kabashima” on it. It doesn’t appear to be an illustration accompanying a story, it’s just there XD.